Ing. arch. Martin Kusý, Ing. arch. Pavel Paňák, Ing. arch. Róbert Bakyta, Ing. arch. Martin Kusý ml. 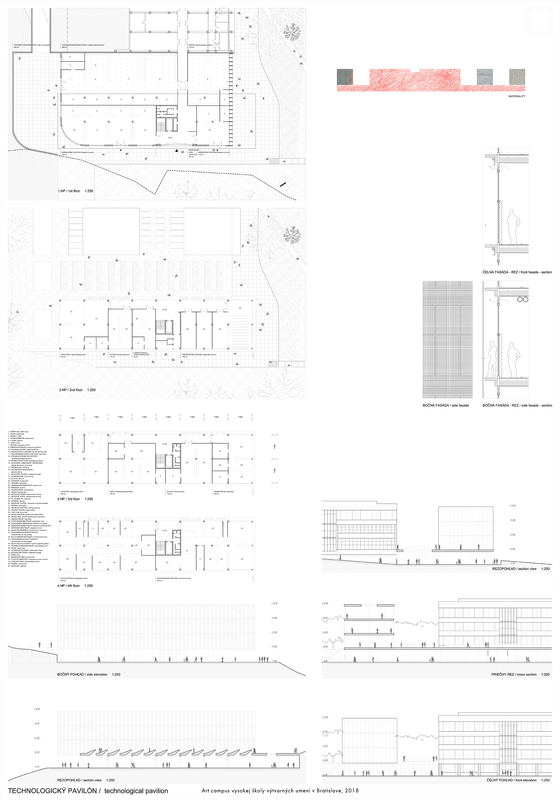 This proposal as well as a winning project continues with a linear axis of the development by prof. Dušan Kuzma. 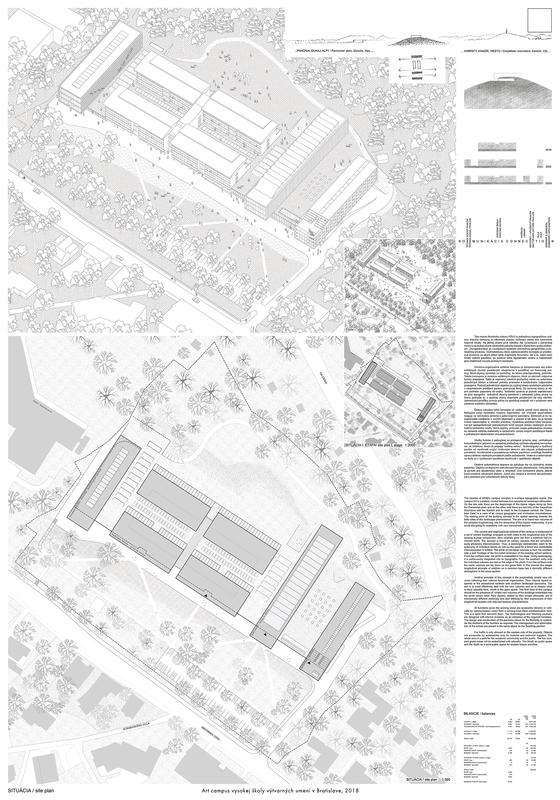 At the place of not-built modules it develops cross linear volumes of the technological part, typologically well oriented dormitory and the second stage of development of AFAD. 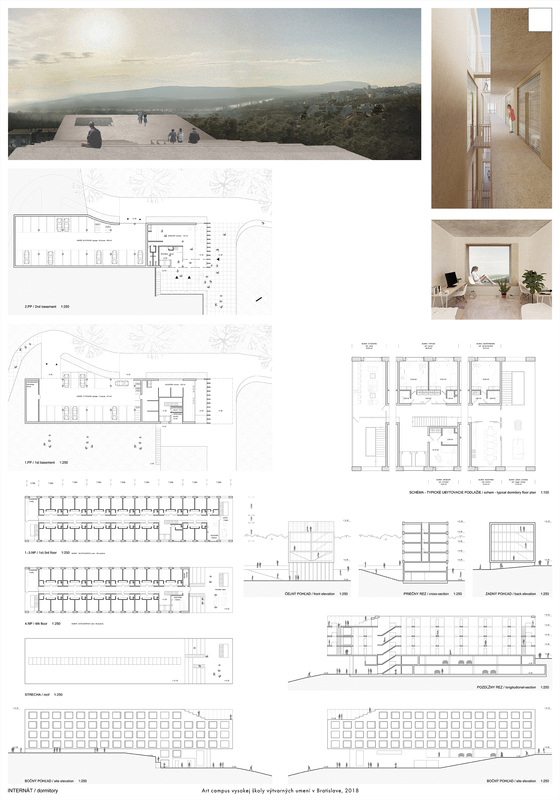 In poetic diagrams qualities of area are demonstrated - topography of the area and views towards landscape. 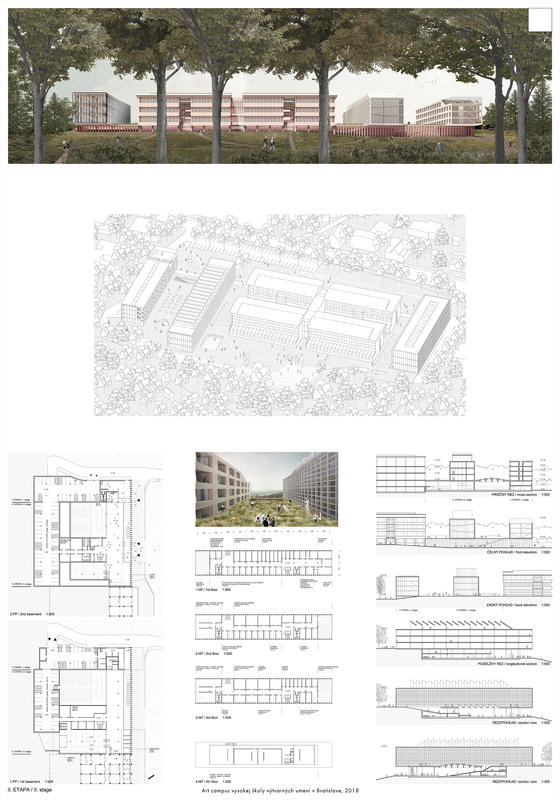 Phasing of the project is problematic - especially in the 1st phase non-convincing inner logic of circulation of campus with a raised terrain barrier between the dormitory and school and without a central entry area, as well as a formal architectonic solution of facades.